Easy, orange-scented white chocolate cream cheese fudge. 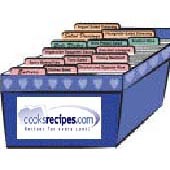 Line a 8x8x2-inch baking pan with lightly buttered waxed paper or aluminum foil. Set aside. Beat cream cheese into melted chocolate until well blended. Beat in powdered sugar until mixture is smooth. Stir in orange extract and orange peel (if using). Spread in prepared dish and chill until firm. Carefully remove fudge from pan using the edges of the foil. Cut into 1-inch squares, if desired. Store in refrigerator.